The song was first recorded by Louis Armstrong. And his recording was inducted in the Grammy Hall of Fame in 1999. 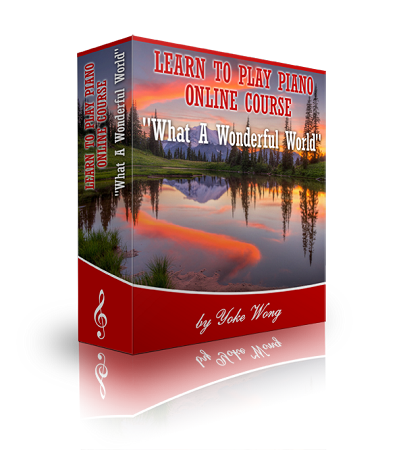 The course comes with four video lessons (45 minutes) with a virtual keyboard demo and a lead sheet. The step-by-step instructions not only show you how to play the song in a fast and easy way, but also teach you how to dress up the music by using different rhythm techniques, different piano chords and chord progressions. It is suitable for intermediate and advanced players and those who would like to play this popular song in a more interesting way. I enjoyed playing What the wonderful world especially "turn around".I think with only one song I apply technique to other songs and made my piano one level up. Thanks so much. I love to play Crazy in your fake book (can play but does not sound good).